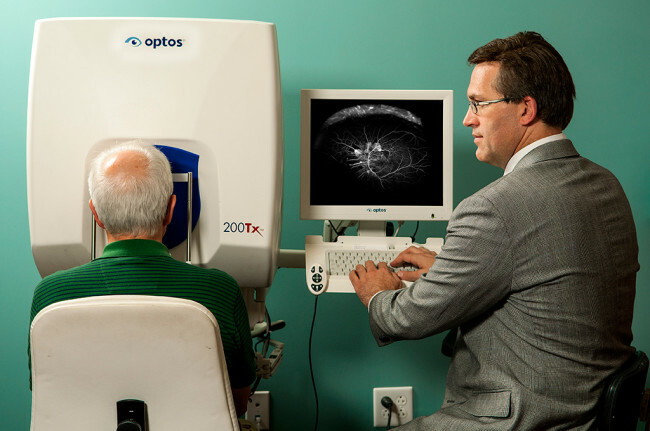 Diabetic retinopathy is primarily the result of diabetes damaging the normal blood vessels in the retina. It is the most common cause of visual impairment in the United States. Proliferative diabetic retinopathy occurs when the retina develops abnormal vessels in an attempt to bring more oxygen to the retina. Unfortunately, these blood vessels cause more problems than they help. They are very fragile and break and bleed easily. The blood then interferes with your vision. The blood vessels can also create scar tissue on the surface of the retina, which can proceed to retinal detachments. 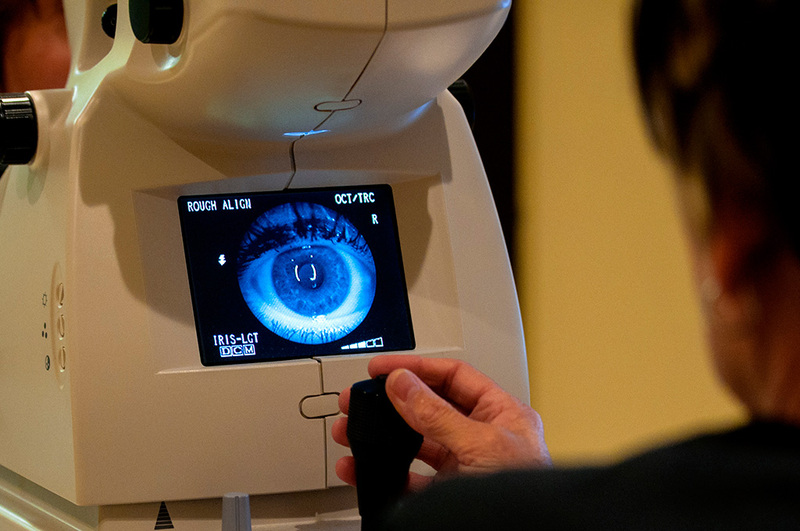 If either the bleeding or the scar tissue becomes severe, surgery is frequently needed to improve your vision. Background diabetic retinopathy occurs when the tiny blood vessels in your eye start leaking fluid. The retina absorbs this extra fluid and it becomes thickened or swollen. When the area of your retina responsible for your central vision becomes swollen, your vision starts to decrease. There are effective treatments available to treat your diabetic retinopathy, namely laser treatments, injections of medications, and/or both. It has taken many years for the diabetes to create the damage within your eyes and it will take many weeks for the laser to fully work. It is sometimes necessary to repeat the treatments many times before we are able to control the diabetic retinopathy. It is very important that you keep good control over your blood sugar in order to minimize the ocular complications of your diabetes.